Vibe - Some Have It! Some Don't! Why It's Important And How To Get It. He's got a great Vibe! Why he has a great Vibe shouldn't be a big mystery. Having a business with great energy has a lot to do with the Vibe of the individuals on the team. When teams have a great Vibe, and when they Vibe well together, they tend to gel as a team. And, when they gel, they compete harder and win more often. When a strong Vibe exists projects seem more rewarding, teams spend more time together and problem solving becomes more collaborative. When a negative Vibe exists momentum stalls, energy depletes, cultures crack, team players exit and the organizational ecosystem eventually breaks down. In this talk we look at the concept of cultural and personal Vibe. Vibe is an idea that extends beyond any single individual. Vibe is about about the community and the team. 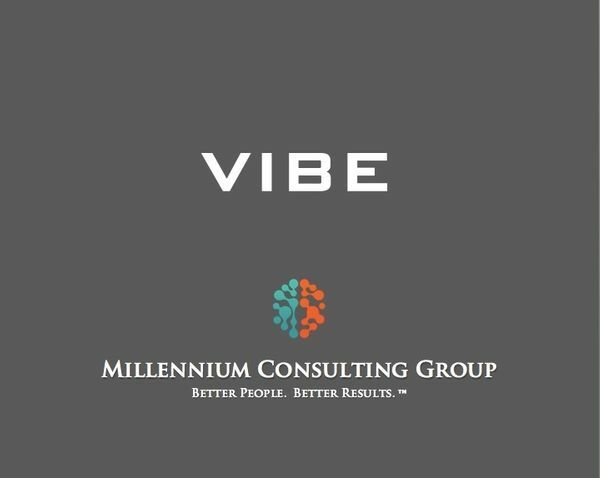 Vibe touches everything including messages delivered to clients, partners and the community.